If you are in the market for an oriental rug it can be an exciting time. On the other hand, there is a learning curve that can seem intimidating. There is never really that much of a problem knowing what type of design and color that you like. There are typically questions on how to determine the quality of a rug and how you should maintain it. Oriental rugs have been crafted for over 2500 years. The oldest rug still in existence is almost 2000 years old. So when it comes to quality, if you buy a good rug, you can expect that you will use it your whole life. As a bonus, it will likely increase with value even after you are gone. How many assets can you purchase and use that are similar in how they appreciate? Antique rugs are similar. You may pay more for them, but once you have them, they will likely last your entire life and appreciate while you are the owner. 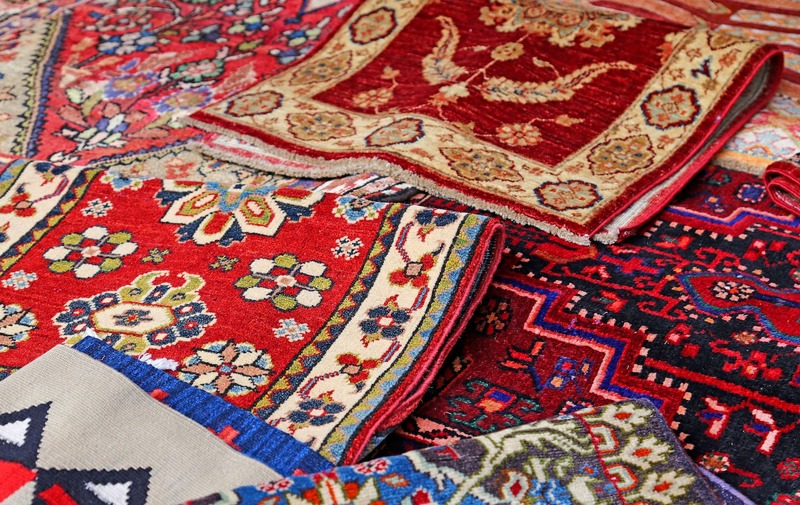 The key thing to look for in an antique rug for quality is the weave and the condition. If you take a little time to learn about how to understand the condition of the carpet and then have the dealer explain their rating, it should help you find the best rug. Of course if the carpet is thousands of dollars, you might find it worth your while to have it independently appraised while you are buying it. Oriental rugs are actually quite easy to maintain. They can be vacuumed like normal carpets and they are usually low pile, which makes it fairly easy to both see dirt and keep them clean. Once in a while, it may be a good idea to use a rug washing company to clean the carpet thoroughly so that stains and dirt that is not possible to get at with a vacuum is removed. It is a very good idea to find a company that specializes in oriental rugs. You will know because those companies typically offer pickup service and their process for washing the rug involves handling it very delicately throughout the entire cleaning process. You can often get a feel for the quality of the rug that you are buying by knowing something about the location it was made in and the manufacturer. Many Persian rugs come from different valleys in Iran where they have been making the same style of rug for hundreds of years. The designs from Iran frequently match a local culture and in many cases are unique to that culture. Chinese rugs can also be very sought after. They have the same rug-making history, but have a more diverse set of patterns and colors. Most manufacturers of top quality rugs still make their rugs by hand. Machine made rugs do have quality, but the master weavers in Asia can still turn out rugs that are consistently judged as being better. Finding a rug that will decorate your home for the rest of your life is a fairly unique purchase. Taking the time to learn a little about the nuances of the products that are available will enhance your satisfaction when you do come home with a rug that you really wanted.